We’ve been fortunate to work on some extraordinary teams and I’ve learned countless lessons about how high performing teams function. But I’ve learned just as much, if not more, from the teams that weren’t so hot (and I’ve been on a few of those!) The truly low performing teams are a no-brainer. It’s usually easy to diagnose the dysfunction. It’s the average teams and leaders that intrigue me because they often look good on paper but they’re just not performing. So what sets apart an outstanding leader from a merely good one? A high-performing team from a lackluster one? In my experience, it’s a laser focus on results and an unwavering commitment to outcomes. Ineffective leaders, and subsequently their teams, focus on activity rather than outcomes. Prioritizing results and holding people accountable are two of the hallmarks of leadership for a game-changing project. These leaders are not task-masters or micromanagers, but instead maintain motivation and a sense of urgency, build momentum despite setbacks, and remain focused and committed to the goal. Here are five key practices you can use to improve the performance of your team and enhance your leadership profile. 30-60-90 day goals keep teams focused on what matters most. Ninety days is long enough to achieve meaningful milestones while 30 and 60-day interim objectives retain a tight focus. When you reach the end of the 90-days meet with the team to mark its completion. This provides a chance to process, learn and acknowledge accomplishments. Then recommit to the next 90-day milestone. This approach works especially well if you use the magic number three. Make sure each of your team members has only three top priorities at any given time. Once they’ve completed one of the three, another priority can be added. A focus on no more than three priorities prevents dropped balls. If you’re in “business as usual” mode, people come to meetings and report on activity. This is a bad habit that’s worth breaking. Make sure everyone reports on results, and gets the message that you don’t need to hear the detail on how things happened. As one CEO I work with has said, “I don’t care how many people you talked to. Did you meet your goal and close one new deal?” Details are only relevant if they impact forward progress or if they contain important details to impart to other team members. Use the three priority structure to track outcomes, with each person reporting on their progress against those three goals. Have team members state in clear terms to the group if they’re on or off track for each priority, how they know, and what they will do in the coming week to keep things on track. High performance meetings start and end on time and it’s up to the leader to set the precedent. These meetings are purpose-driven and focused on resolving issues, brainstorming solutions or making decisions. Vague agendas about reviewing, discussing or considering are ineffective and lead to wasted time and energy. Use a powerful close to send everyone back into action with a renewed sense of purpose and commitment. One way to accomplish this is to ask every attendee to state her one key takeaway from the meeting. This reinforces what’s important, keeps people focused, creates alignment, and ensures public commitment to outcomes. Use Rapid Status Checks for fast-moving, high-priority projects. Daily five-minute stand-up meetings are particularly effective. In a stand-up, have each team member report whether they are on track or if something has changed, and seek input from the group to make decisions or get approval. The key to success is to keep these meetings to just five minutes. As a general rule for daily meetings, the longer the meeting, the less effective they become. Effective leaders maintain a list of committed actions—an action log—to make sure projects stay on track. An action log captures commitments made during meetings, including the committed action, person who committed to it, and a specific due date. Actions define an explicit result. Make sure the person assigned the action understands the task and has agreed to the deadline. A single person, not a group, owns and is accountable for the completion of an action. The deadline is an explicit date and, often, time. When things go off track, a leader’s most significant contribution is often rapid problem solving. Set the tone so that your team feels comfortable bringing problems to the forefront quickly and can get them sorted out without impeding progress. Put an end to analysis paralysis. Keep in mind that one viable option is to reschedule or delay a commitment when something more pressing arises, as long as the delay doesn’t impact the overall project. These five practices aren’t complicated but they can represent significant change for teams accustomed to business as usual. Be prepared for some discomfort and lead your team through it. This purpose-driven, results-oriented approach may take some getting used to, but ultimately you and your team will be working together much more efficiently and effectively. The proof is in the results. 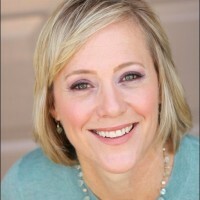 Kate Purmal is coauthor of The Moonshot Effect: Disrupting Business as Usual, along with Lisa Goldman and Anne Janzer. Purmal served as a Senior Vice President at SanDisk Corporation, and on the founding management team of Palm Inc. She is a five-time CxO for technology and life sciences companies, and co-founder of two startups that achieved successful exits. She currently serves as a strategic advisor to CEOs and executives, a board member and an angel investor. She lives in Redwood City, CA.